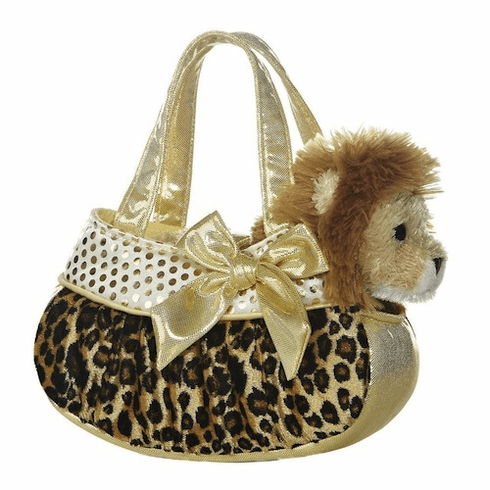 Aurora World Blingy Leopard Print Fancy Pals Pet Carrier. This carrier features leopard print and yellow with gold sequins and bow on the body as well as yellow straps and a lion fancy pal. Aurora World is internationally known as a leading manufacturer of plush.